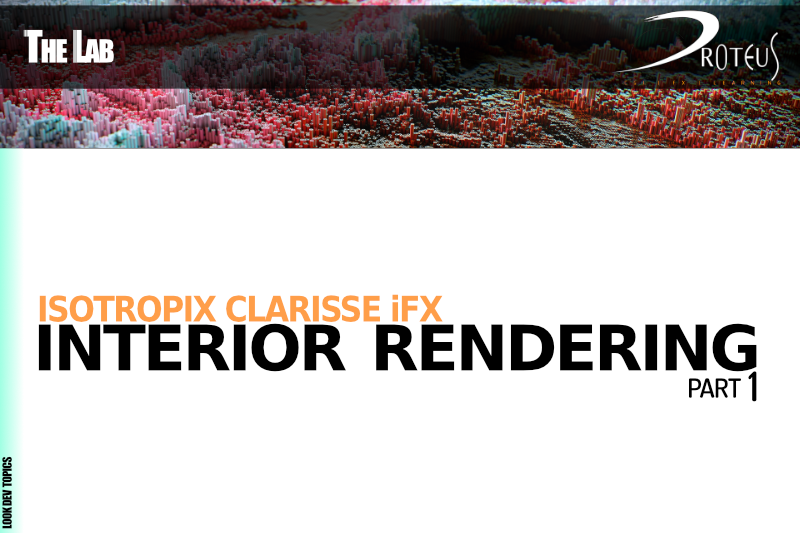 Clarisse iFX is an amazing software, it is well known for massive environment, set dressing, multi-billion polygons scattering features and so on.BTW it is still a look development software with great shading, lighting and rendering tools, so today we’ll start working on a really “strange” tutorial series, creating an interior rendering for architectural projects using Clarisse iFX. We’ll see how to move data from 3ds max to Isotropix software and then we’ll move step by step working on some basic shaders, lighting and preparing the scene setup for coming videos. This part is completely free for everyone, other parts will be for patrons. In next video we’ll go more in depth with shading and rendering setup. This video is available on Proteus VFX School Vimeo On Demand and Patreon page, in English and Italian.